The Merlion Park located in the city-state of Singapore is a beautiful park installed with the unique Merlion structure. 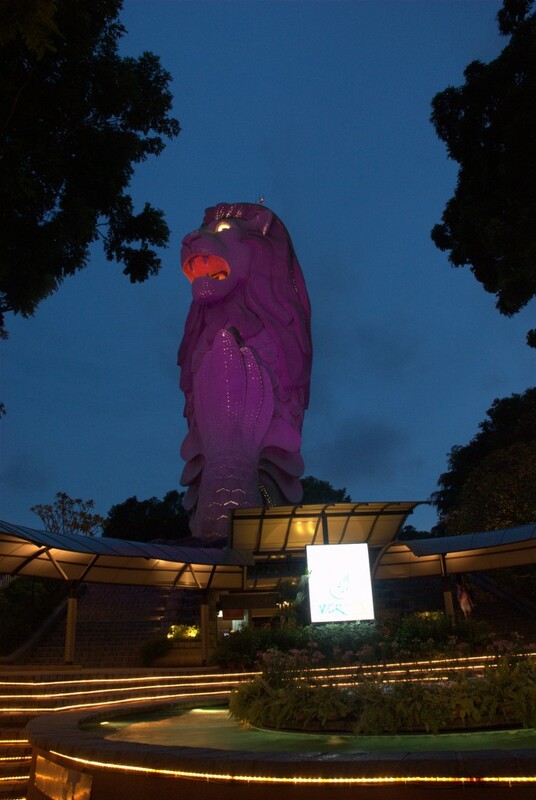 This statue of a creature that is half-mermaid (or fish) and half-lion attracts a number of tourists and has become a landmark of Singapore. With the head of a lion and fish-like body, the fountain-statue appeals to the onlookers. 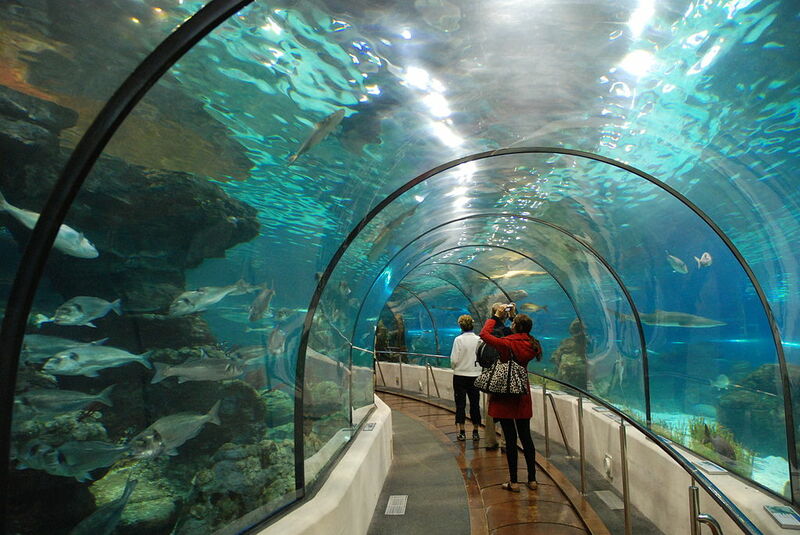 It looks amazing especially in the glowing lights turned on at night. This statue was originally located at the Merlion Park along the Esplanade Bridge. The then Prime Minister of Singapore, Mr. Lee Kuan Yew got the installation of the statue done ceremoniously on 15 September, 1972. Now this statue has been shifted to a new place, which is near the One Fullerton Hotel. The lion head represents the lion that was spotted by Sang Nila Utama, a Srivijayan prince. 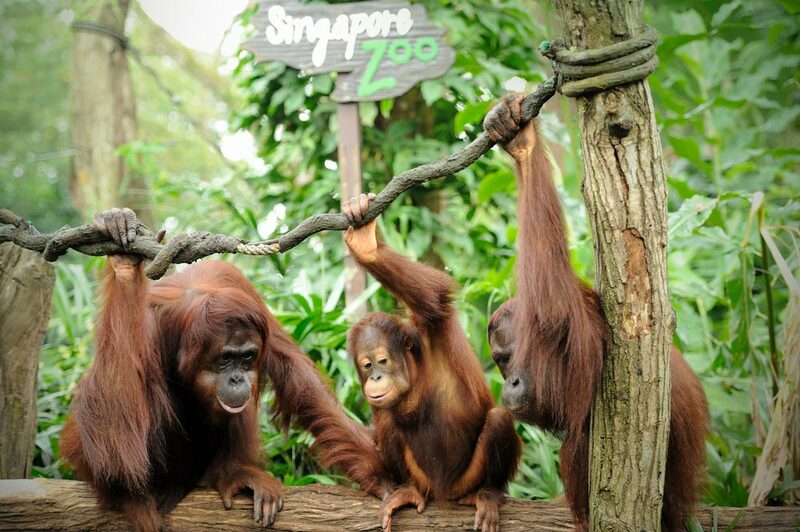 The Malay Annals records the incident took place when the prince had re-discovered Singapura in 11AD. The fish tail of the Merlion represent the ancient city of Temasek which means sea in the Javanese language. 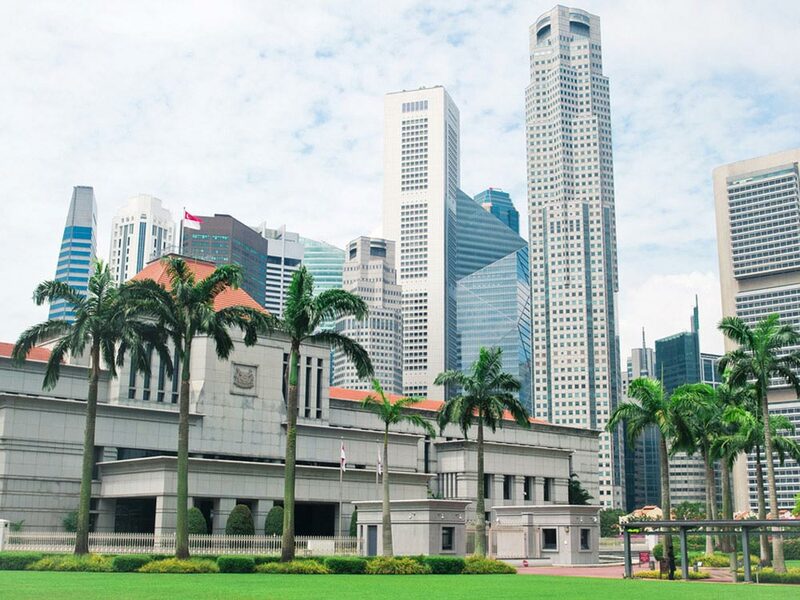 It symbolizes the fact that Singapore was initially a humble fishing village even though now it has turned out to be one of the most popular tourist spots in the world. 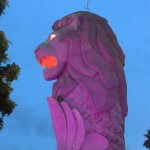 The Merlion Statue was built by the late craftsmen Mr. Lim Nang Seng from cement fondue. Mr. Lim built another smaller version of the Merlion measuring 2 metres in height and weighing 3 tones. The body of this statue was made of cement while the skin was made of porcelain plates and the eyes comprised small red teacups. 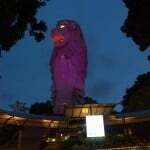 One can enjoy the beautiful views of Singapore’s colonial district when strolling in Merlion Park. There is a souvenir shop within its precincts that sells Merlion T-shirts as well as other gift items. 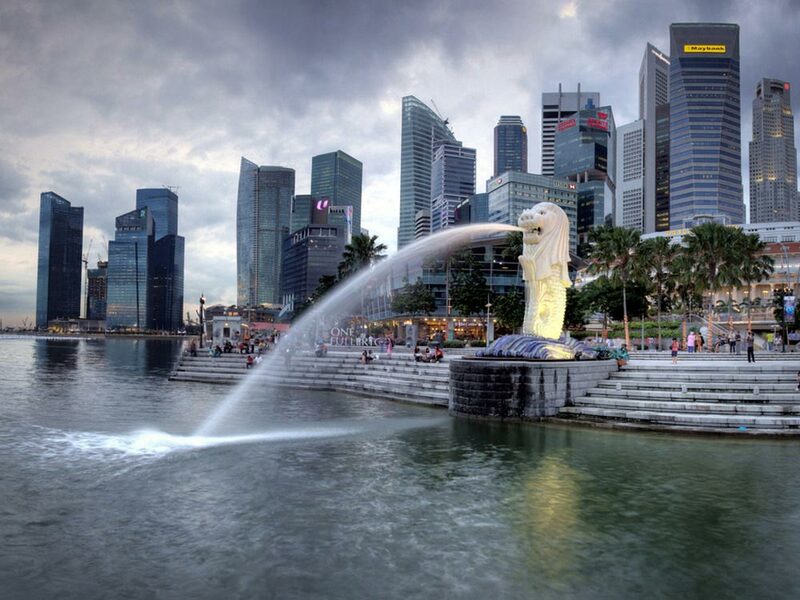 The Merlion was initially designed as a symbol for the Singapore Tourism Board in the year 1964. The lion head was originally designed by Mr. Fraser Brunner. 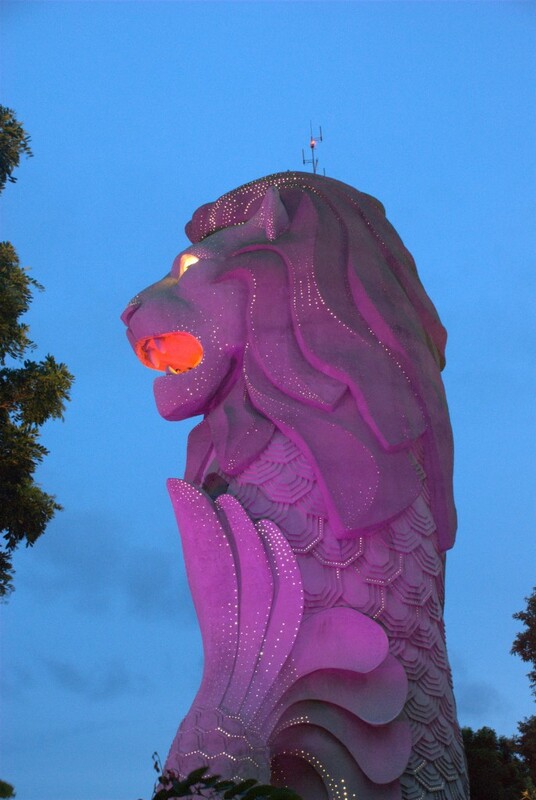 The Merlion Statue measures 8.6 metres in height and weighs around 70 tonnes. 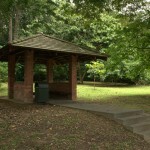 The Park covers an area of 2,500 square meters. Where is the Merlion Park ? 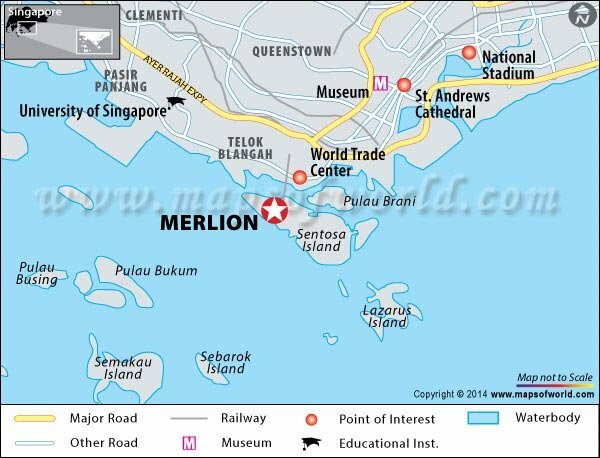 The Merlion Park is a situated at One Fullerton, Singapore. 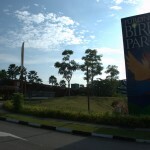 It takes around 20 minutes by car to reach the park from Singapore Changi International Airport. 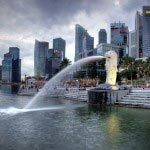 The best time to visit the Merlion Park is during the mornings, evenings, or nights as the weather is cool. Merlion Park opens 24 hours throughout the year. 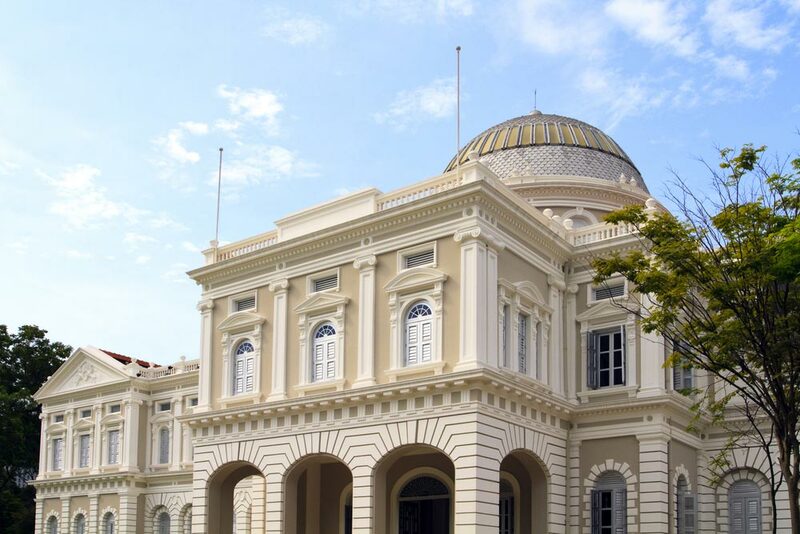 Nearby Attractions: Singapore Asian Civilisations Museum, Boat Quay, Esplanade – Theatres On The Bay, National Museum of Singapore, Art Science Museum, and Thian Hock Keng Temple.